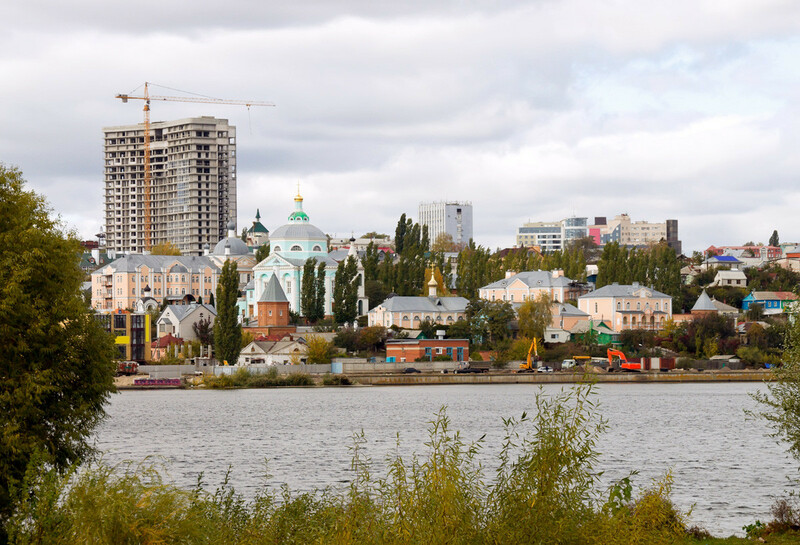 Situated 500 km south of Moscow, Voronezh definitely is a picturesque city. This city 500 km south of Moscow is not the most obvious choice for a trip, but Voronezh has plenty to offer: from the first Russian warship built by Peter the Great to modern theaters and parks. Even (or especially) for Russians, Voronezh is not the most glamorous destination despite its big-city status (1.03 million inhabitants). It is not the capital like Moscow, nor an important cultural symbol like St. Petersburg, nor far and exotic like Vladivostok, nor warm and tropical like Sochi, but a typical regional center like any other. Yet Voronezh has its plus points. It is easily reachable from Moscow: less than seven hours by double-decker train for about 1,000 rubles ($15), so a two-day trip is no problem if you’re in the capital. The climate is another bonus. Further south than Moscow, the weather is milder and warmer. But what is there to do in Voronezh? As noted by sociologist Dmitry Solovyov, who has studied the character of the city's residents, “Voronezhers” are very proud to call Peter the Great their own and to be known as “the birthplace of the Russian fleet.” Although Peter the Great (ruled 1682-1725) is more associated with St. Petersburg, which he founded, it was in the south that he began life as a naval commander, and the first Russian warships were built on the Voronezh river, which shares the same name as the city. 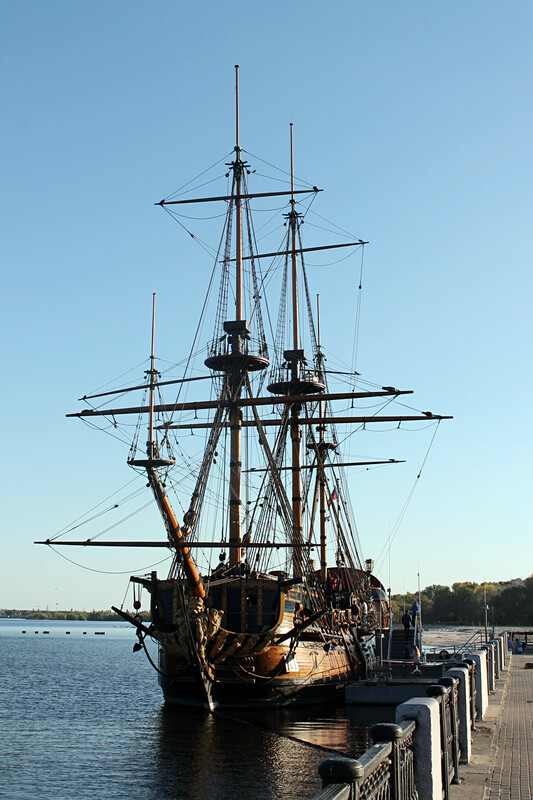 The most famous of them is Goto Predestinatsia (God's Predestination), the first 4th-class battleship, mounted with 58 cannons, built at the Voronezh shipyards in 1700. Before that, the Russian fleet had no vessels of such size. 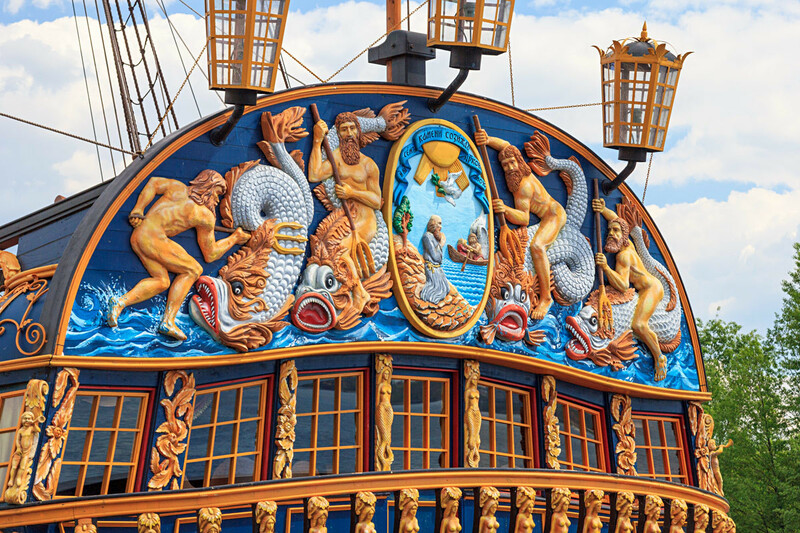 A replica of this magnificent ship now stands on the dock near the Admiralty Square in Voronezh, and works as a museum where visitors can look inside, study the interior, and see how tough life was for the first Russian sailors. Like many other provincial cities in Russia, Voronezh combines the coziness of old Russian life with glittering modernity. But here the landscape makes it even more eye-catching. 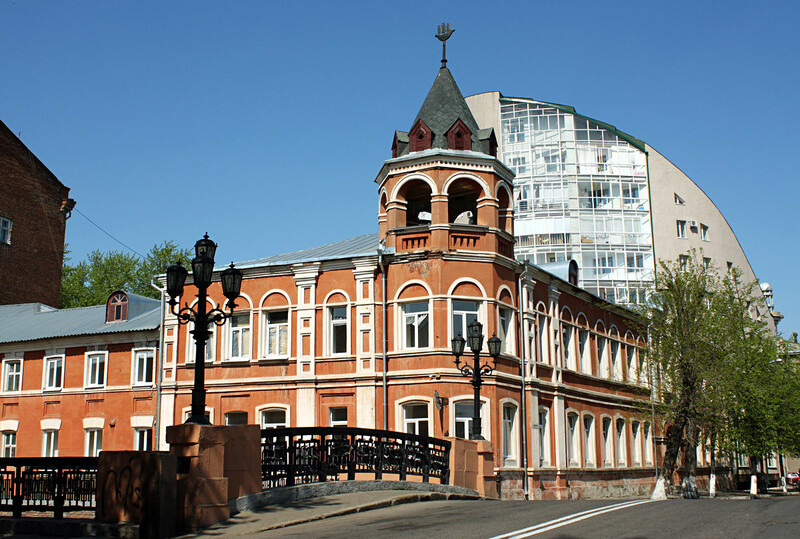 The historical part of the city lies on a steep hill on the right bank of the Voronezh river. 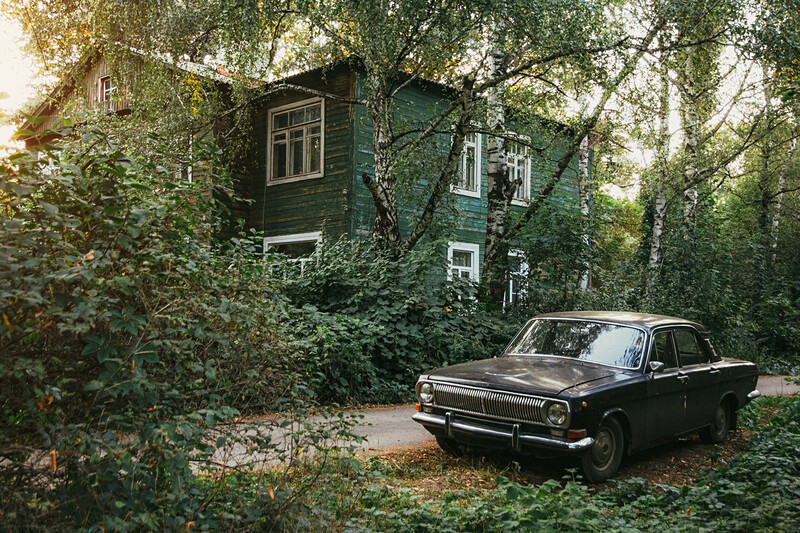 The top is traversed by streets lined with Soviet buildings, interspersed with ultramodern high-rises, while descending to the river are narrow, rustic-looking alleyways overgrown with vegetation, where pre-revolutionary houses can still be found, even though they are few (92% of Voronezh was destroyed during WW2). This vivid contrast gives a snapshot of Russia as a whole: the road from noisy Moscow-style business centers to sleepy, old-world houses takes five minutes max. Voronezh oozes the spirit of old Russia, yet the ample cafes, parks and theaters provide familiar comforts and are not inferior to Moscow’s, and certainly less busy. 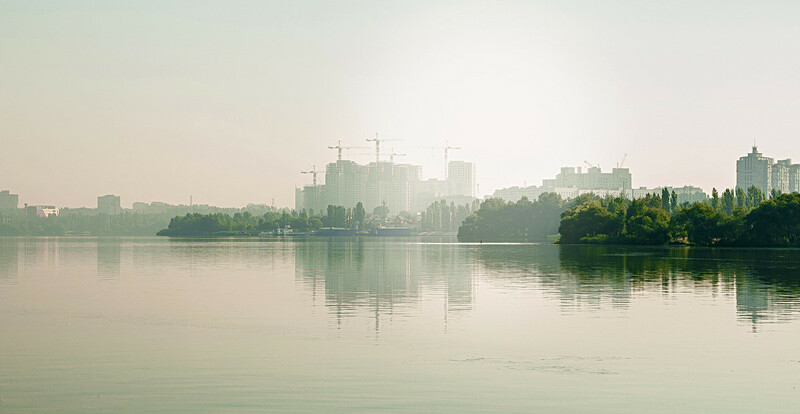 Inside the city, the Voronezh river turns into a reservoir known as the “Voronezh sea” — in 1972 the river was dammed up, flooding forests and meadows for irrigation and providing water for industry. The sight is impressive: the reservoir is 50 km long and covers an area of 70 sq. km. No other city in Europe has such a large artificial reservoir within its confines. Due to industrial emissions, the "sea" is not clean; ecologists classify most of it as a moderate pollution zone. 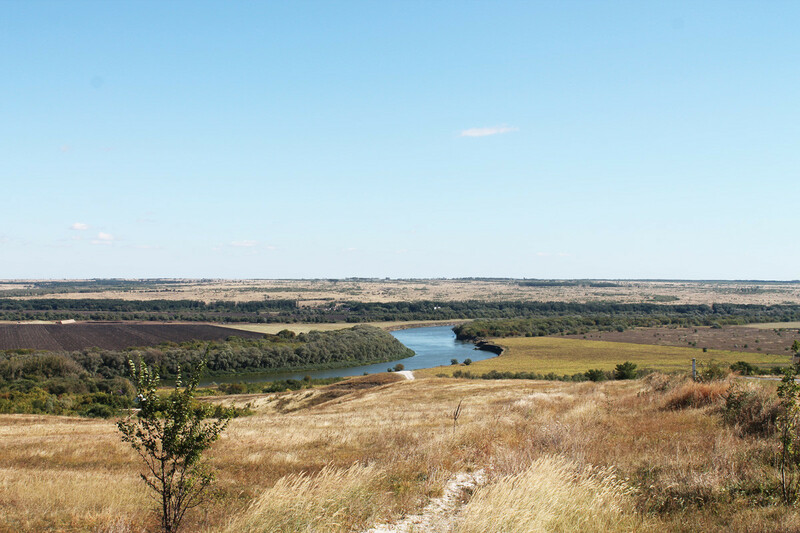 But that does not detract from the reservoir’s obvious beauty: one of the best places for walking in the city is the Pridachenskaya dam, which is essentially a green island in the middle of the Voronezh river. One of the Divnogorye churches. 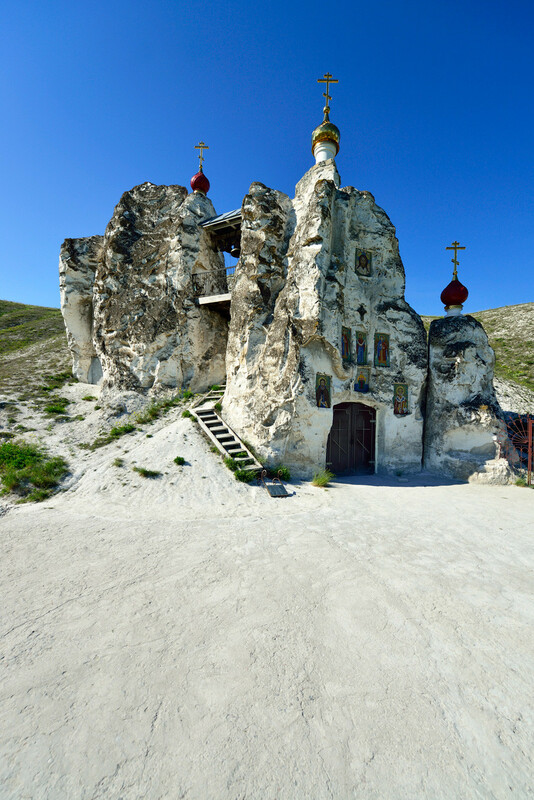 The steppe lands around Voronezh contain many fascinating things: 140 km south of the city stands the picturesque Divnogorye plateau with chalky pillars reminiscent of Britain’s Stonehenge, as well as churches carved in the white rocks, a 17th-century monastery, and the remains of medieval fortresses. That said, all the sights in the nearby town of Divnogorsk are a picture of modernity compared to the exhibits of Kostenki, a village 70 km from Voronezh. The local museum houses mammoth bones and everyday items of the Upper Paleolithic people, who inhabited the region around 45,000 years ago. The soil in Kostenki (the name means “small bones”) is so full of Stone Age sites that the remains of mammoths turn up literally in people’s back gardens. Buses to Kostyonki run from Voronezh; to get to Divnogorye, take a bus or train to the town of Liski and from there by taxi. Kostenki is so remarkable we made a separate article on its ancient treasures. Did you know it might be the oldest place in Europe people ever lived in?